Here we are, right at 24 weeks! I am officially carrying around a little over a 1 pound baby. Guess what? I can feel it! -Back and under rib pain is pretty consistent every day, but I am learning to deal. -Baby kicks! She kicks! Andy has seen and felt her kick a few times now. Sometimes I grab him when I can tell she's moving around and we will both stare at my belly and wait. -Pregnancy craving lately: milk and cereal. Sometimes, I will start thinking about milk and cereal when the first alarm of the morning goes off. By the time, I finally get up, I am seriously needing some crunchy nut cheerios. -Andy isn't surprised now when I tell him we're having cereal for dinner. 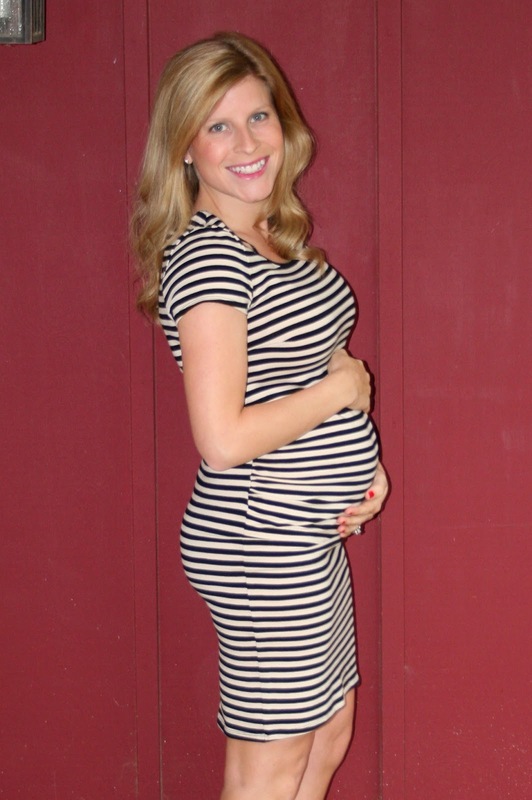 -All of my past few doctor appointments have gone well and I am on track for my due date. -I am still exercising but a lot less running. I am walking like a crazy lady though. My mom and I are weekly walking 7-8 miles every other day. My bladder can't handle running, but it can definitely handle walking. We love the Greenbelt, it has become our favorite part of our walks. We celebrated 5 years of marriage last Friday. Andy is super sweet as always and planned the best anniversary day. He had 5 surprises for me(for 5 years) leading up to dinner at our favorite restaurant in Atlanta, Oceanaire. We have celebrated many times at this place, and it was so nice to go back. I love you Andy! You are one in a million as it comes to husbands. Thank you for always making me feel pretty and making our anniversary so special.